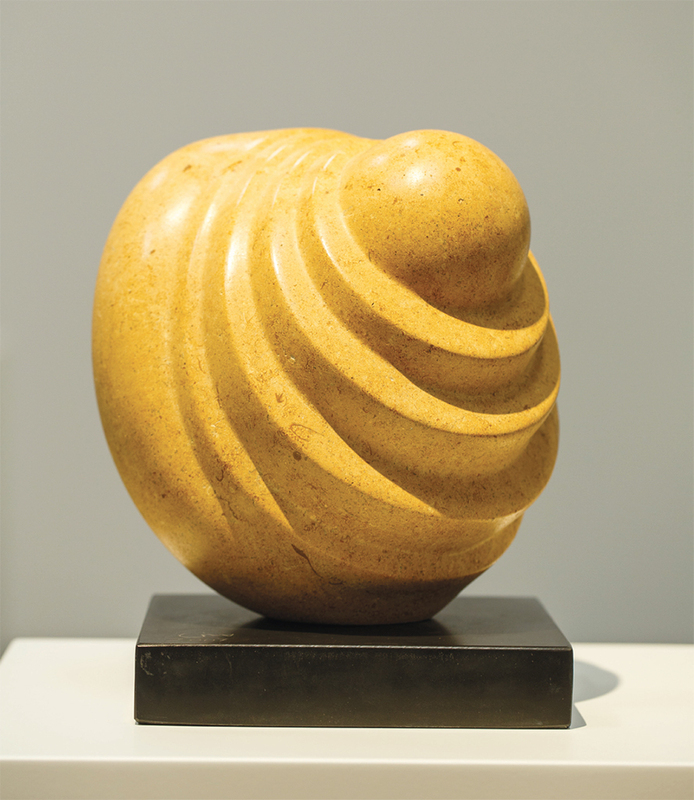 Mona Saudi, The Seed, 2007, marble, 9 7/8 × 8 7/8 × 8 7/8". International attention came somewhat late in life for Jordanian-born sculptor Mona Saudi, who defied family wishes when she left for Beirut in 1963 at age seventeen. One year later, she used money from works sold at a café to study at the École Nationale Supérieure des Beaux-Arts in Paris. Saudi occupies a central place among the pioneering modernist artists of her region’s generation, not only due to the quality of her work, but also because she is one of the few female sculptors to emerge from the Arab world. Featuring rocks from her travels, Saudi’s sculptureswhich evoke those of Barbara Hepworth or a more restrained Lee Bontecoudeploy movement, geometry, and abstraction to probe questions about nature and growth. Characterized by exuberant color and austere morphology, the pieces inhabit a space of formal innovation in a region that the art-historical mainstream seldom acknowledges as a site of progress. This survey promises to correct an omission in a conversation about sculpture, modernism, and the Middle East.